Imagine what would happen to you if you wake up one morning and find your website/blog closed down? You start to panic and call up your web hosting service provider at once. Instead of giving you the routine technical maintenance downtime reason, your web hosting guy says they are only following orders of the Mumbai Police Crime Branch. You find out that somebody in the ‘high and mighty’ has found your content offensive. And all you were putting on the website was a collection of cartoons against corruption! 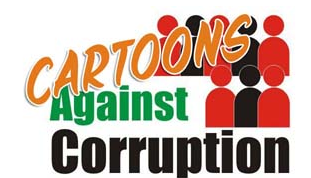 This is the true story of cartoonist, Aseem Trivedi who had started a campaign against corruption through his website www.cartoonsagainstcorruption.com. On the very first day of Anna’s fast during the ‘India against corruption’ movement, the Mumbai Police Crime Branch put a ban on his website, following a complaint that his cartoons were disrespectful to the nation. There was no legal notice, no court order, no advance warning and not even a letter/email requesting to remove the objectionable content. And this is the freedom of expression in the world’s largest democracy. Since then, Aseem has continued to fight against corruption through his blog ‘http://www.cartoonsagainstcorruption.blogspot.in’ which is quite under the scanner. 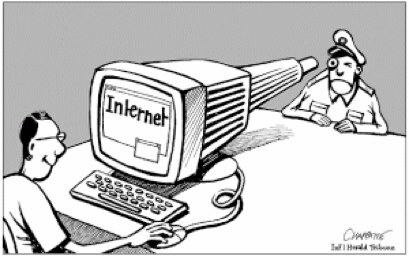 Ever since the Indian government has been hell bent upon playing Big Brother on the Internet, banning websites and deleting Facebook accounts under a weak I.T. act, more voices are being raised every day. Anja Kovacs from the Internet Democracy Project initiated a training program on freedom of expression and censorship for bloggers called ‘Make Blog Not War’. Aseem Trivedi along with journalist Alok Dixit have started a dedicated website ‘saveyourvoice‘ and a ‘Save your voice’ campaign on Facebook, which is committed to building an internet where each individual has the right to free speech. Founded in 2012, ‘Save your voice’ Facebook page serves as a one-stop destination giving out frequent updates about the world of Internet censorship in India. On the one hand, the community is made aware of the state of internet censorship through the various links posted on the wall, while on the other there are updates about offline panel discussions on freedom of speech and should reasonable restrictions be imposed on freedom of expression. For instance, we know about the lawsuit against Google and 21 other sites for hosting objectionable content on their websites but do we know what is happening on that now? There is an Indian Express link shared on the wall that shares Google’s reply, citing the allegation to be illegal and unconstitutional. The campaigners are organizing a ‘Langda March’ where they will dress up as persons with disabilities, symbolizing the state of internet users under censorship, from India Gate in New Delhi. More details can be found on the website as well as the Facebook page, if you are interested in supporting the cause. Recently, an awareness drive was created by naming April 1st as Kapil Sibal’s day, as the Minister for Communications & IT has almost become synonymous with web censorship, after he had infamously tried to regulate social networking sites. On the whole, the Facebook campaign exists for the sole purpose of creating awareness about internet censorship amongst Indians and their right to freedom of expression, as guaranteed by the constitution of India. The website makes ample use of social networks with an active presence on Twitter along with Facebook. You can join the movement and help free the nation from an undemocratic government by sharing the page in your networks and by participating in the offline events. Additionally, you can contact them at saveyourvoice at gmail dot com. 2012 will be the beginning year that is going to reshape how we look at the Internet. Last year we had seen the dicy stance of the Indian Government on social media content and one can’t really believe that content is not being regulated in social media. Tomorrow if this happens to us or anyone else, we really don’t have a clue how to move forward. We need to support such movements and stress for laws that protect the freedom of expression over the Internet, unless we aspire to build another Great Wall Of Internet!